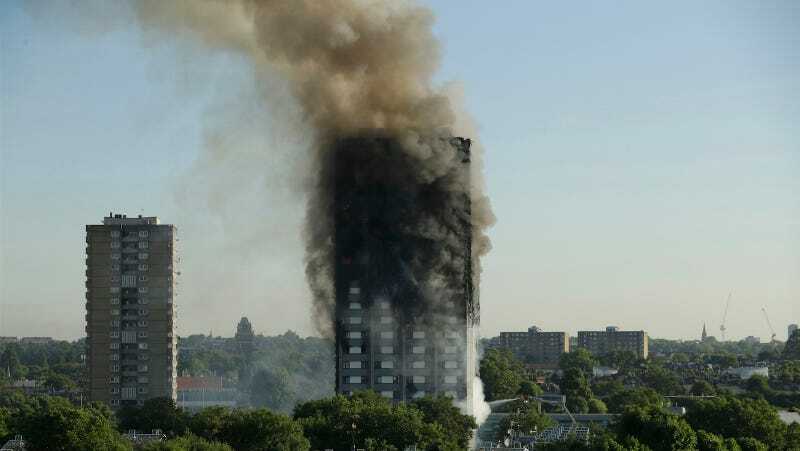 At about 1 am on Wednesday morning, a high rise apartment building in West London caught fire, the New York Times reports. 74 people have been taken to the hospital and six people are confirmed dead, though officials say the number is expected to rise. The Independent reports about the terrifying scene, in which people were attempting to escape and aid one another in the smoky hallways. One man was reportedly seen jumping from his window. A mother threw her baby to a man below to save them. Many are still waiting for news about friends, family, and neighbors.